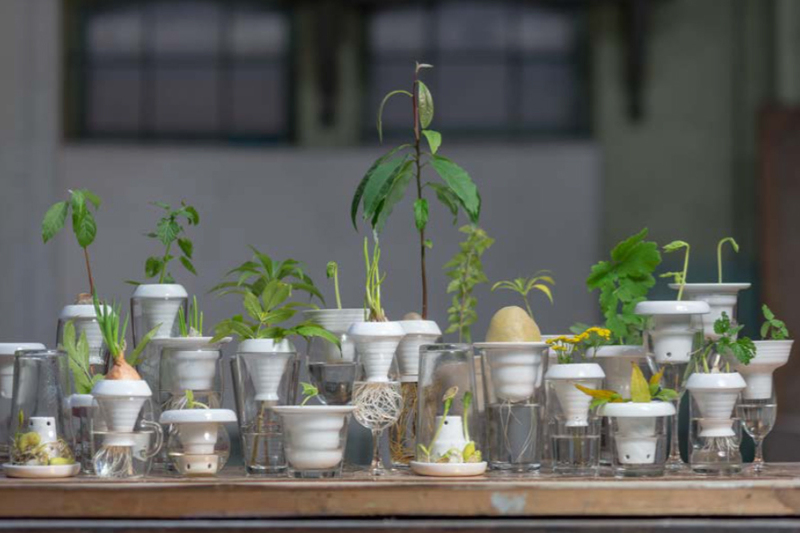 PLANTATION is a series of porcelain elements designed for growing herbs and ornamental plants using the principles of hydroponics. 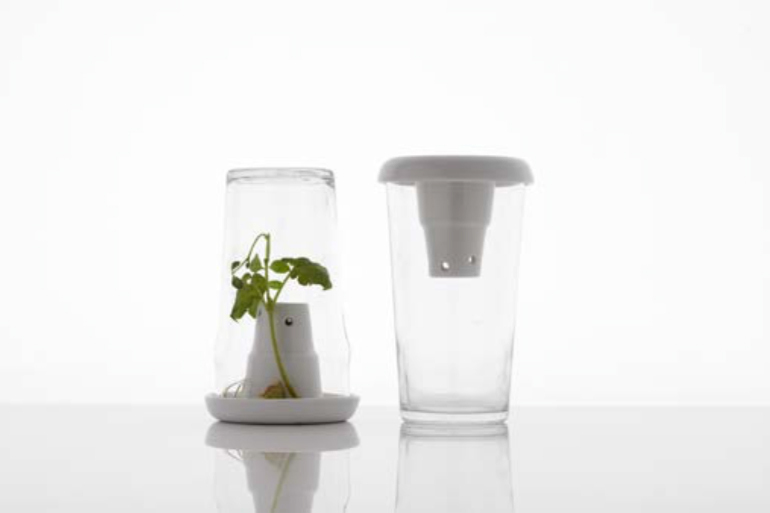 Thanks to the use of only water and no soil, this method allows observing the growing process of both the stems and the roots of plants. 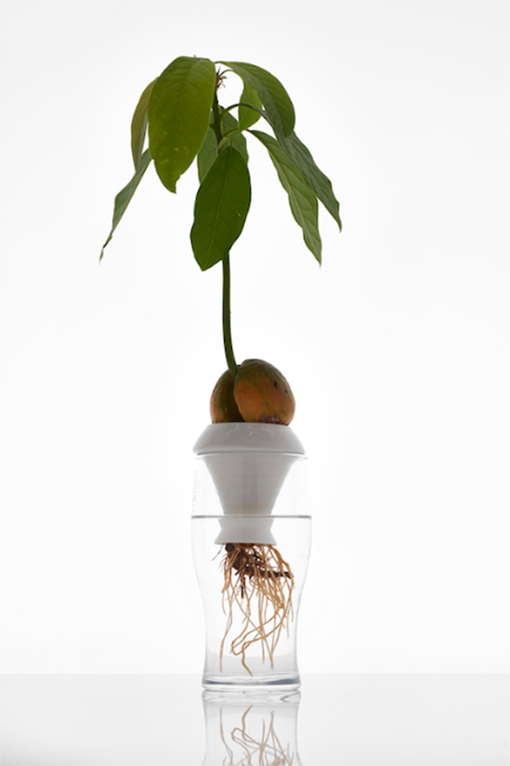 PLANTATION is also a perfect solution for rooting plant grafts. 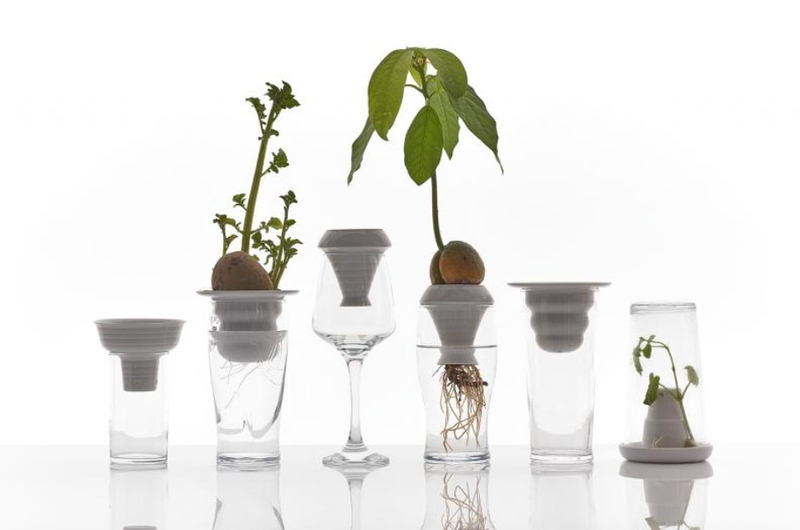 Use a glass you don’t need anymore, top it with one of the four available PLANTATION shapes and enjoy your own mini-farm. 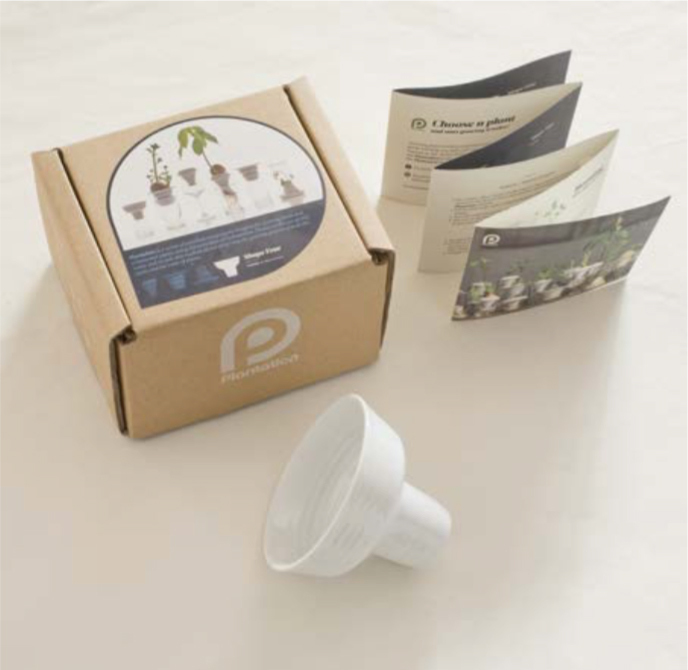 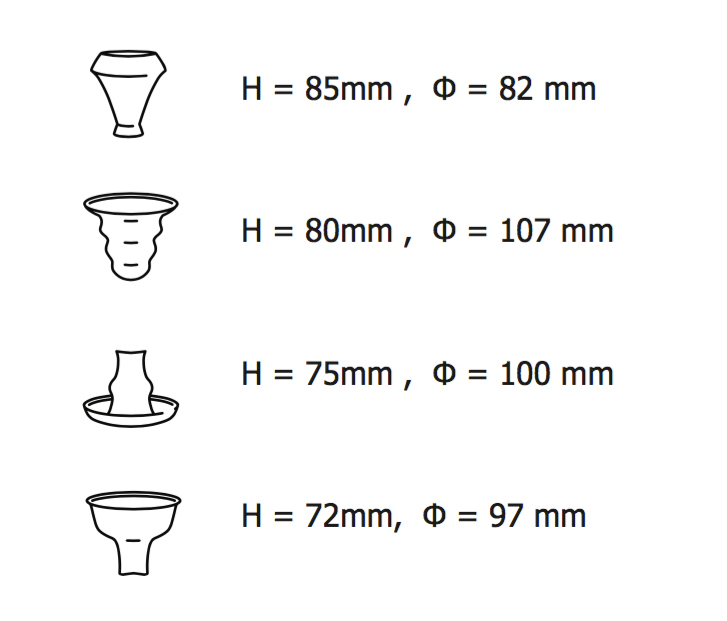 All four PLANTATION’s shapes are irreplaceable for rooting all tipes of plants. 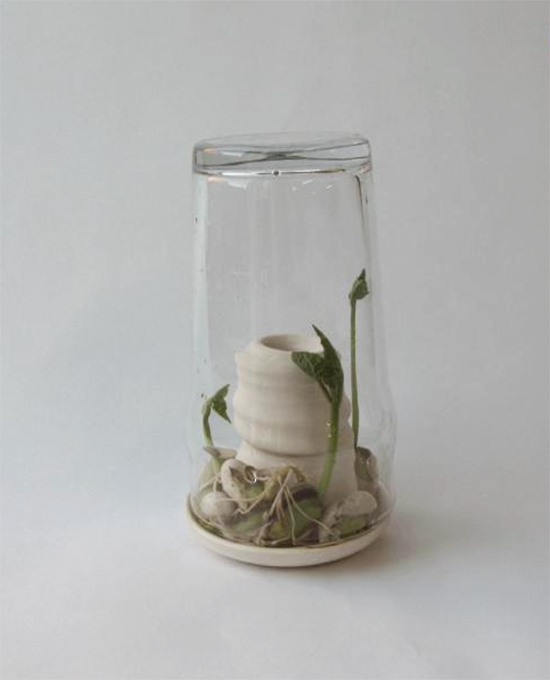 Shape N° 3 becomes, when turned upside down, a mini green house which can be used to germinate seeds. 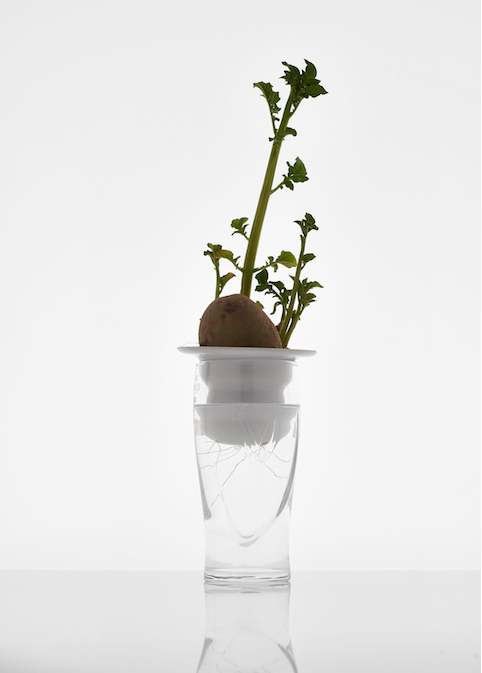 After an intense year of participating with her art installation in a number of international exhibitions and competitions (including an award at the British Glass Biennial), Alicja Patanowska has created a new PLANTATION design brand. 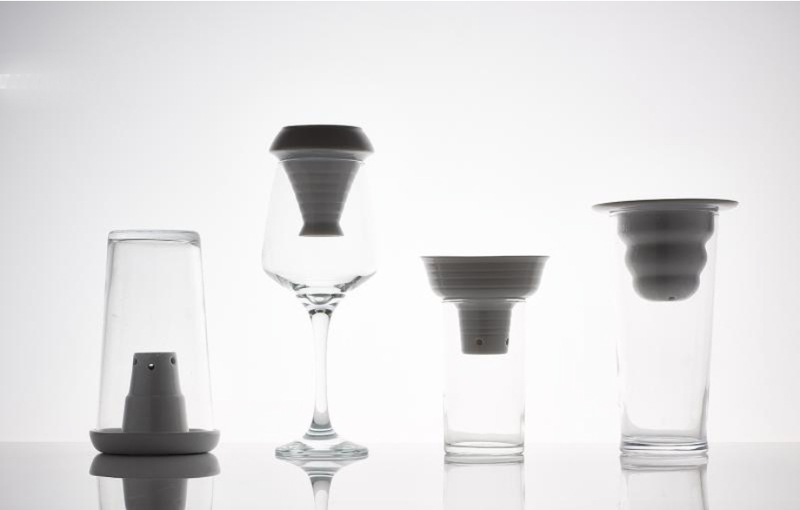 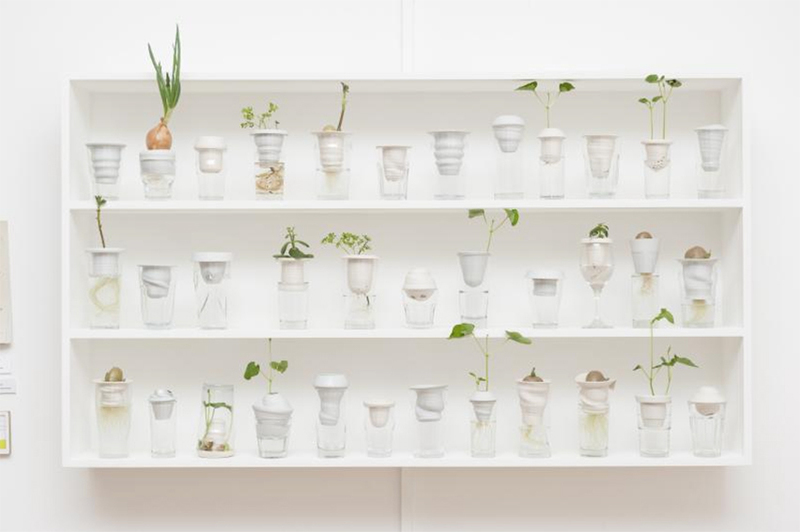 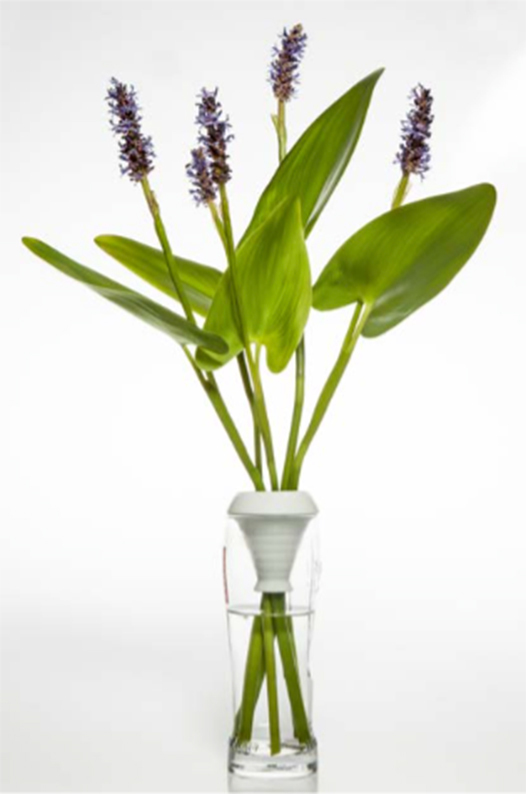 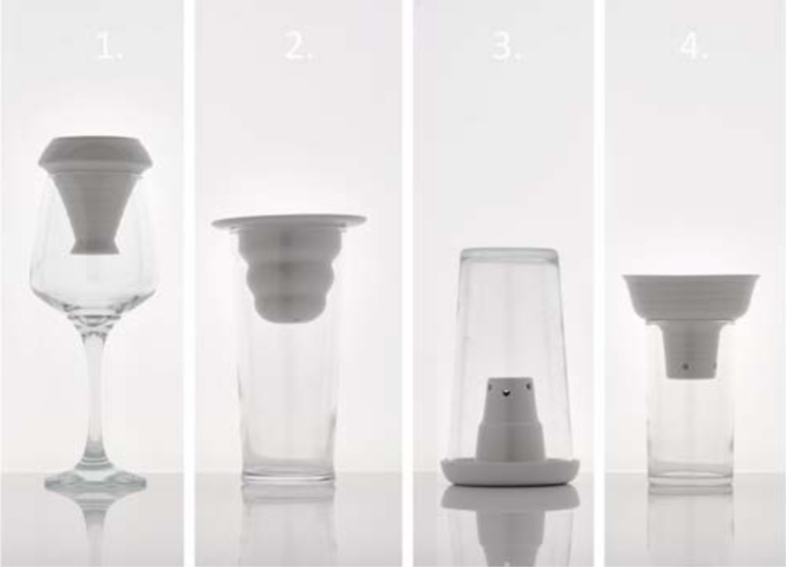 Based on the principles of the original project, for which the artist collected abandoned drinking glasses in the streets of London, scrupulously documenting the process and hand-making ceramic elements to allow the observation of the growing process of plants, the brand is now being produced and will be presented for the first time during the 2015 London Design Festival. 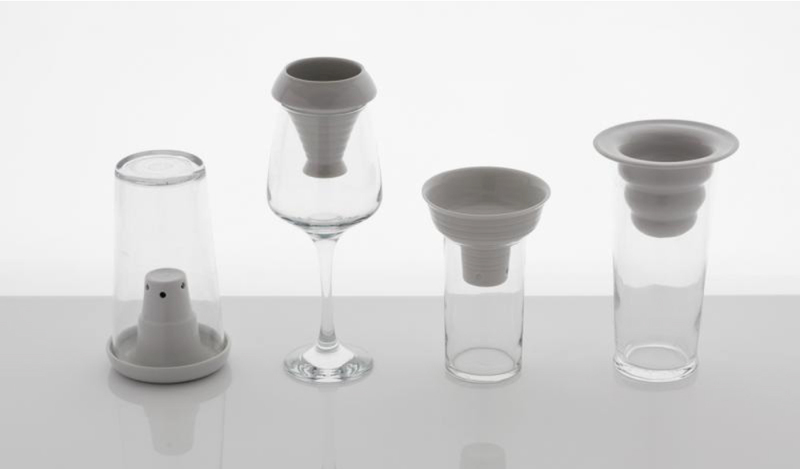 You too will now be able to reuse old drinking glasses and enjoy your own home plantation.